Christy Caldwell was born in Ohio, the USA. Her small-town life was safe and secure, but utterly boring. At the age of five, she sang a solo onstage at a Christmas concert, and the desire to perform was kindled within her. She loved not just the applause, but the way people listened and laughed. At Ohio University, Christy majored in Theater Arts with a minor in Speech, but the campus turmoil of 1970 and her own restlessness cut that short. She went to the Caribbean to work on a decorating project (the family business), but found the man, adventure, and unusual life she was seeking. With her husband, she opened a SCUBA shop and boutique on a tiny remote island one hundred and fifty miles off the coast of Venezuela. Christy designed and made fabrics and clothing for the boutique and counseled local women in birth control. She started the nonprofit Union Island Day Care Center, and forty years later, it is still operating today. After returning to the US, she finished her degree, doing homework alongside her two sons who had been born in St. Vincent. She also became a Florida certified foster parent and took in twenty-eight children over a three-year period. She was not able to find a job in the small Florida town where she lived, so she went back to school to get an eighteen-month interior design degree. She opened her own interior design firm in 1988 and was successful until the economic recession of 1991. 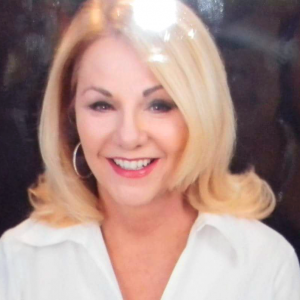 She moved to Orlando and worked as a designer for luxury home builders and model home merchandisers for twenty-three years. She converted to Judaism and became active in synagogue projects and filled in for the cantor when needed. A second economic tsunami in 2007 ended that job, so building on her facility with languages and a natural gift for teaching, and continuing wanderlust she, once again, went back to school for certification in ESL (English as a Second Language). She has been teaching English for almost a decade. Her students have ranged from migrant farm workers who were functionally illiterate to the highest executives in multinational companies in Argentina. While living for two years in Buenos Aires, she met an Italian Argentine on a street corner. He was a professional singer, and, with this marriage, a new career began, and a lifelong dream was fulfilled. Duo Romantico performed pop opera, Broadway, and Hollywood movie music all around Florida, the US, and occasionally in Europe for more than six years. Although the marriage did not last, Christy is happily single, still teaches ESL, enjoys traveling around the world whenever possible, and dotes on her four beautiful grandchildren. She will sing anytime and anywhere. Motherhood can consume you so utterly that you run the risk of disappearing inside the soccer mom or ballet mom. But living your dreams through your little ones is unwise. They came here to fulfill their dreams not yours.